November | 2015 | Small Farmers. Big Change. The following article, written by Dana Geffner, Executive Director of the Fair World Project, was published on November 6, 2015 in the Huffington Post. I regularly look at product labels because that is part of my job. So when I come across a label that says Direct Trade, or even “Direct Trade Certified,” I have to wonder why a brand would compel themselves to create something for consumers in order to differentiate themselves that really doesn’t mean much. As someone that has worked in the fair trade movement for 15 years, I always dig deeper into those claims to see what they really mean. Many brands are frustrated by fair trade certification, and let me be very clear, it is certification, not fair trade they are frustrated with. There is a social movement to change the way we trade globally, allowing small-scale producers to participate and thrive, and to provide social services locally in impoverished producer communities that are not provided by local or federal governments. That social movement is called fair trade and it is alive and strong. It is fair trade certification that is broken. 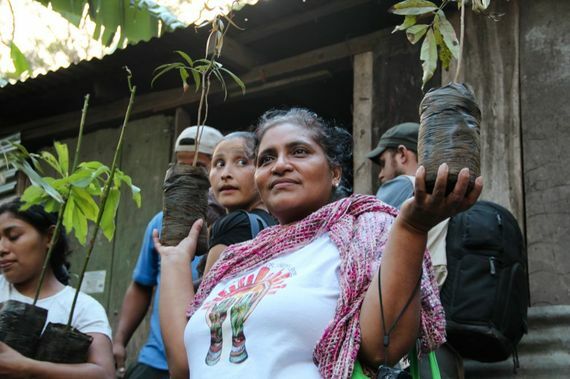 Fair trade is more than a logo or a brand, it is a movement to strengthen communities. The following article about one of our cashew trading partners, Fair Trade Alliance of Kerala (FTAK), appeared in yesterday’s on-line issue of the Guardian. 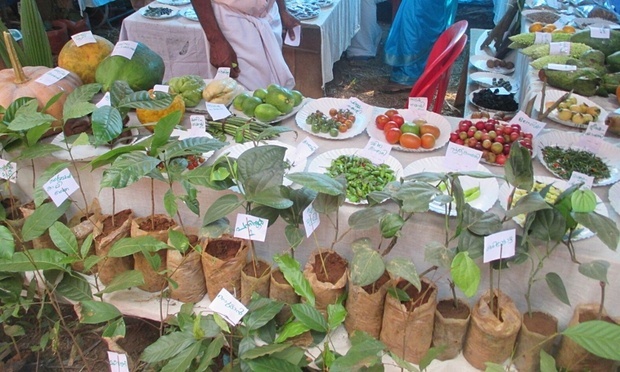 A walk through the annual Kerala seedfest, in the sultry heat of India’s Western Ghats, is like a walk through a proverbial garden of Eden; okra the size of a hand; deep purple coloured runner beans; 26 varieties of chillies from one village alone. The size and colours of multiple bananas on offer here make a mockery of the fact that your average supermarket sells just one type. With women and men standing proudly alongside their produce, this celebration of seeds and biodiversity is the future of farming: it is abundant, resilient and most importantly, smallholder led. As farmers cope with the dual crises of a changing climate and rising population, the debate rages about the future of agriculture, with large-scale agribusiness being pitted against smallholders. In one corner, agribusiness is perceived as more efficient and technologically savvy; in the other corner, the smallholder is portrayed as less productive and in need of charity. Scale is generally perceived as the measure of success in farming, as with everything else: farmers are effectively told to expand, innovate, or move on. But a collective of 4,500 farmers who call themselves Fair Trade Alliance Kerala (FTAK) are at the annual gathering to demonstrate their own third way: small scale, innovative, market-embracing and sustainable. Click here to read about a visit Equal Exchange made to FTAK in 2013.